Everyone loves a Tuffet! Fun Gift! Fabulous "Custom" Furniture! Tuffets are a beautiful accent to any home and fit with any decor. Join us at The Quilt Corner for a weekend retreat and create a beautiful one of a kind Tuffet! 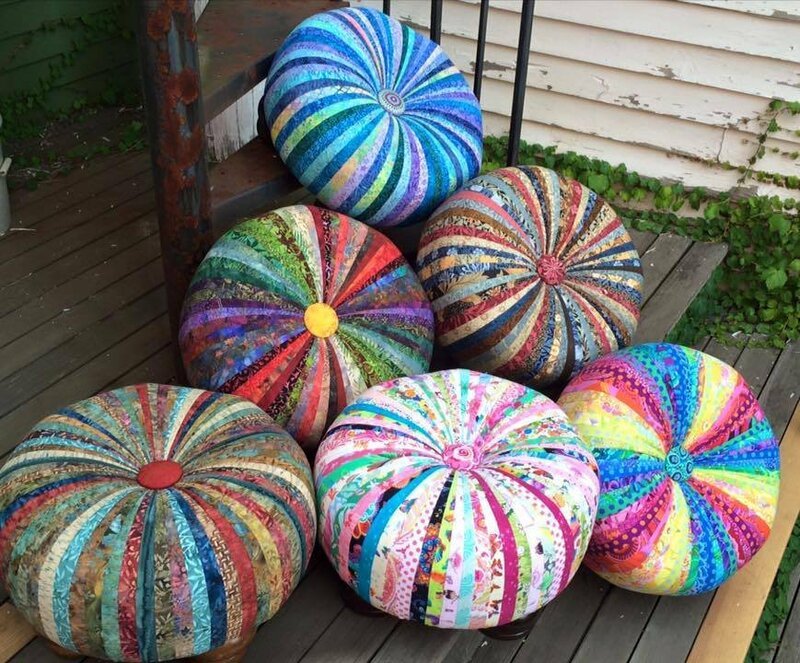 We will be teaching how to make a Square or Round Tuffet! They make great gifts for special occasions including weddings, new babies, anniversaries or just because. Let your imagination run wild and create that one-of-a-kind conversation piece for your home or for someone else. Please see the supply list below. The following should be purchased, either online, or in the shop, before class. We ask that you bring a potluck finger food and we will all share in a fun supper before beginning sewing. Sweet & Savory both welcome! We usually have about 10 people at the retreat. Saturday morning we will start back up with breakfast and sewing at 9:00 am and we will sew until 4pm. 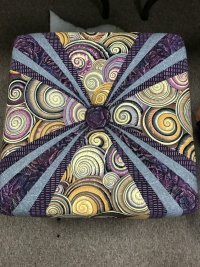 (Most people should be able to complete their tuffets in this time, we will schedule an additional Tuffet Finishing Day for those who don't finish at the retreat. Or enjoy leftovers from Friday's feast! One thing is for sure ... this is the south and you know we will have great eats and plenty of it!